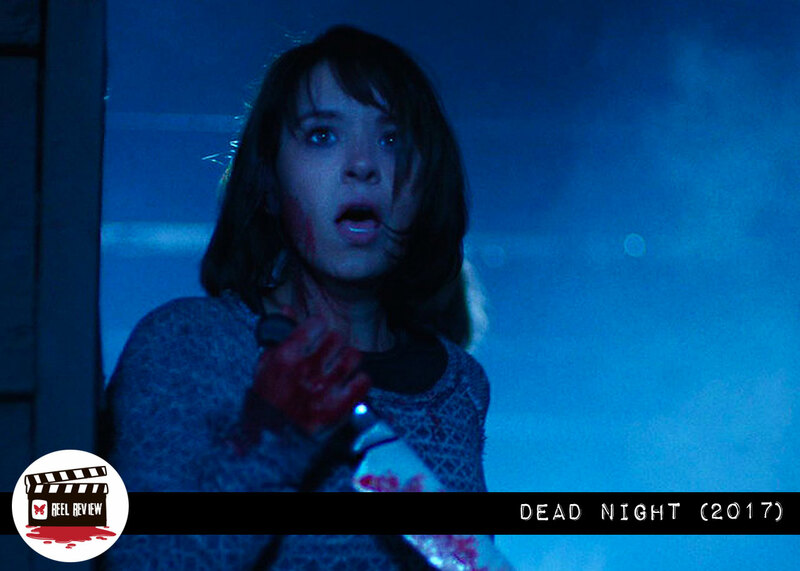 With a strong cast and a powerful performance from genre icon Barbara Crampton, “Dead Night” is a smart, scary, atmospheric horror film you need to see. 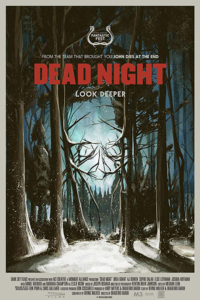 Dead Night tells the story of a family who travels to an isolated cabin for a little getaway. 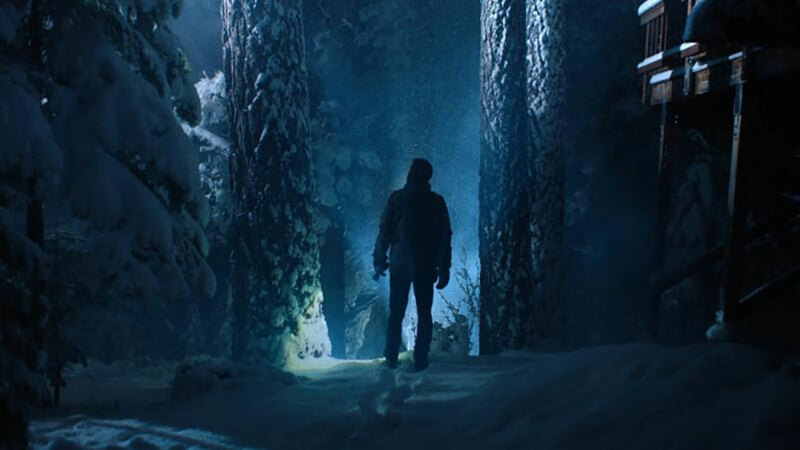 Their time together is interrupted when a stranger is found outside the cabin seemingly hurt. When the family offers to help, the stranger is not who she appears to be — and the night, and their lives, turn into a hellish nightmare. The opening sequence is a great setup that takes place over 50 years ago and introduces the viewer to two young lovers who drive off into the woods for some alone time. There is minimal dialogue between the characters, as the film relies more on imagery to set the tone and kick the story into motion. This opening reminded me of the minimal dialogue, imagery-laden opening sequence of Halloween, introducing us to a young Michael Myers. Cut to the present, and we see the family headed to the cabin for their getaway. When it starts snowing early on, you get the feeling that this family is trapped inside another world and a part of something evil that they are unaware of. 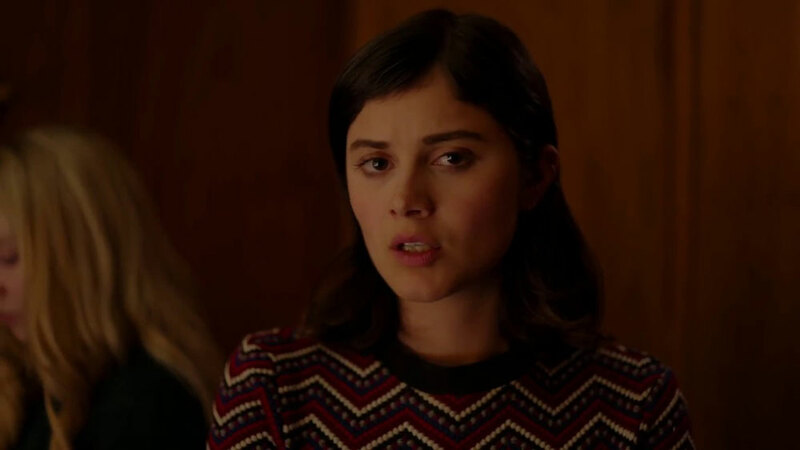 There’s a scene where the two younger girls (Elise Luthman and Sophie Dalah) are unpacking in their room looking at a painting of a cabin on the wall. When one asks, “Do you think that’s the cabin we’re in,” you get the sense that they’re being watched just as they watch the painting. It’s as if they’ve been captured inside an eerie snow globe occupied by malevolent forces. Barbara Crampton as Leslie (the stranger from the beginning) gives an icy and chillingly relaxed performance and exudes an elite level of confidence in the role. Crampton effortlessly owns every scene she’s in and by far has one of the strongest screen presences in the genre. This high praise for Crampton also speaks volumes of the surrounding cast, as the younger characters (Luthman, Dalah and on screen brother Joshua Hoffman as Jason) all do solid work in their roles. 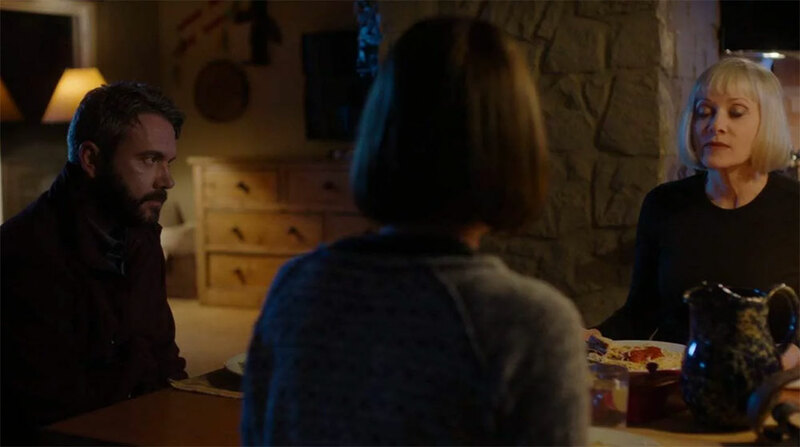 One of the best scenes in the film takes place around the dinner table as the parents (AJ Bowen and Brea Grant) pick up on the fact that something is not right with Leslie. Bowen and Grant do great responsive work to Crampton’s strange and unsettling behavior in a tension-filled and cumulative scene. From here, Brea Grant gives a great performance as Casey, the mom in an unthinkable situation. What I found a little odd was the structure of the film. There’s a TV show within the film called Inside Crime that tells the story of what (authorities THINK) happened to the family as the film plays. While the fictitious show perfectly mimics a true crime program, I found it distracting whenever a short segment of the show cut in and interrupted the story of the film. I see why the segments we’re included and what they added, but I feel they didn’t need to be throughout the film and could have provided just as much with one segment — perhaps at the end. 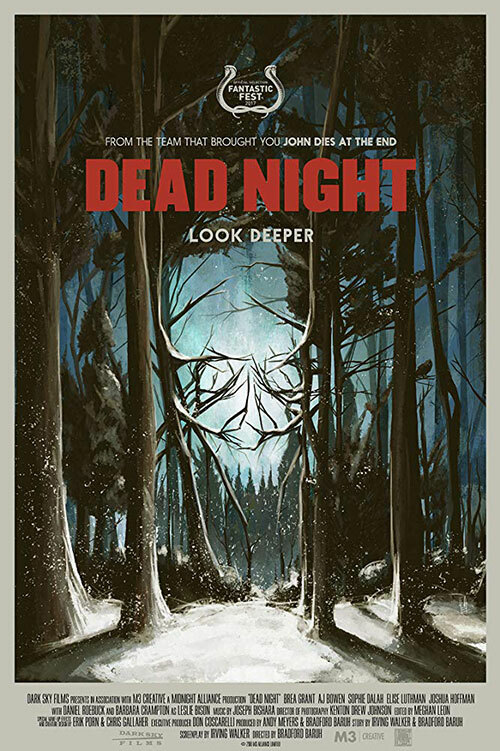 Overall Dead Night is a fantastic and nightmarish descent featuring strong performances from its cast and great makeup and gore. There’s a transformation scene at the end that is a bone cracking, skin splitting, bloody masterpiece — a nice cherry on top of this awesome film. Find Dead Night available now on Amazon and iTunes for a great midnight movie. I highly recommend it.